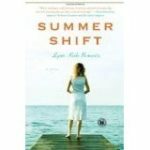 Summer Shift Archives - Joelle Delbourgo Associates, Inc.
Forty-four-year-old Cape Cod clam bar owner Mary Hopkins is stuck in the cycle of her seasonal business; overwhelmed by the relentless influx of new names and fresh young faces, she feels as if life is passing her by. In the first da ys of the summer season, a young waitress’s tragic accident stirs up unresolved pain from Mary’s past, leaving her longing for connection. At the same time, Mary’s life is further upended as she begins to suspect her beloved great-aunt, the one person in the world who loves her unconditionally, is descending into Alzheimer’s disease. Then, in walks Dan, a lost love—perhaps the greatest of her life— returning to the Cape after disappearing years before without an explanation. As Mary faces these challenges and losses, it’s her rekindled romance with Dan and her burgeoning unlikely friendships with a warm, eccentric collection of local characters that keep her afloat. Set against the backdrop of Cape Cod sand, sun, and seafood, Summer Shift is the story of a woman’s struggle to find the peace, love, and human connection that have eluded her for decades.